I love Cheerios so it’s a no brainer for me to accept Cheerios because, well, it’s the primary cereal eaten in our home anyway. Not only do I feel good about my family eating it, you can’t beat the taste. And they make great snacks to put in a sealable bowl or baggie to take on trips, play dates, etc. Do you love gardening, yoga, hiking or decorating? Maybe you love listening to music or playing your favorite sport? Whatever it is you “love” doing… Cheerios would love to hear about it! One music lover (and a guest) will tour the Country Music Hall of Fame® and Museum with McBride, hang out with her in her recording studio – the world famous Blackbird Studio in Nashville, TN. – and get VIP tickets to one of her upcoming concerts. Another lucky baseball enthusiast (and a guest) will have the chance to hang out and play catch with Ripken and to tour the Ripken Youth Baseball Academy in Aberdeen, Md., with the “Iron Man” of baseball himself. And if that isn’t enough, the winner will throw out the first pitch at the Cal Ripken World Series and sit in Ripken’s reserved seats at a Baltimore baseball game. Not only can you win the above, but Cheerios through MyBlogSpark are giving one of my readers a box of Cheerios and a $25 American Express Gift Card. To enter – just share with us how you love your heart so you can do what you love, in the comments. Tweet this giveaway – Enter to win Cheerios Do What You Love Giveaway & win a box of Cheerios & $25 Am. Express Gift card – http://bit.ly/a4Q0bg #mbsspark – and then come back and leave a comment with the link to your tweet, for an extra entry each day. This giveaway is open to anyone in the United States and will be open until Friday, July 23 5:00 PM EST. 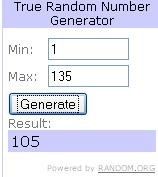 One winner will be chosen by a random number generator at Random.org. Just so you know: I received a box of Cheerios and a $25 American Express gift card as a member of MyBlogSpark. All opinions and views expressed are my own. Congratulations Barbara – commenter #105. I run on the tradmill six days a week and chase after my toddler 4 year olds. 🙂 They are the best exercise. I do not think my first comment saved. I run on the treadmill six days a week and chase after my 4 year olds. They are the best exercise. I love my heart my eating heart-healthy foods like Cheerios 🙂 *Thanks* for the giveaway! I exercise regularly – I love taking long walks and biking with my hubby. I love my heart by exercising daily so I can spend as many healthy and happy years with my dh as possible. I love my heart by exercising. I love my heart by doing regular cardio workouts & a high fiber diet! I love my heart by trying new foods that are healthy. I eat a heart-healthy diet and exercise regularly. Heart attacks/problems, high blood pressure is prevalent in my family. I take blood pressure meds to keep my bp down, watch my salt intake, have recently lost 18 lbs. I love my heart by walking daily. I love my heart by eating carefully and exercising regularly!